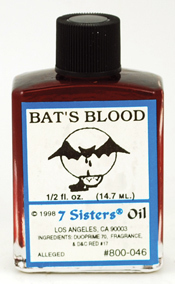 A powerful oil from the 7 Sisters, Bat`s Blood oil is an especially formulated ritual oil intended to provide a boost to your curses, jinxes, and other spells of trickery, ill will, and deceit. 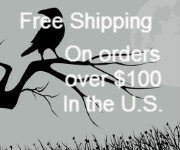 Use it to anoint your ritual candles or otherwise empower your dark magic to overcome the will of your enemies. Each bottle contains approximately 4 drams of mystic oil for external use only.